After a long holiday weekend I'm back in the studio working on a batch of new bags. I spent the weekend biking, relaxing seaside and re-energizing myself. What did you do? Hope it was enjoyable! I'll be adding a couple of new bags to the Pesky Cat Designs shop in the next few hours. As always, custom orders are welcome and my purses can be made in different textiles with or without appliques. At the moment my turn-around time is about 3 days. Later this week I should have a couple of faux leather creations to add to the shop. We took it easy too. Just what we needed. Glad to hear you had such a lovely break! Sounds like you had an awesome weekend! We spent the weekend at an amusement park. Sounds super relaxing. Your work is always so beautiful too! 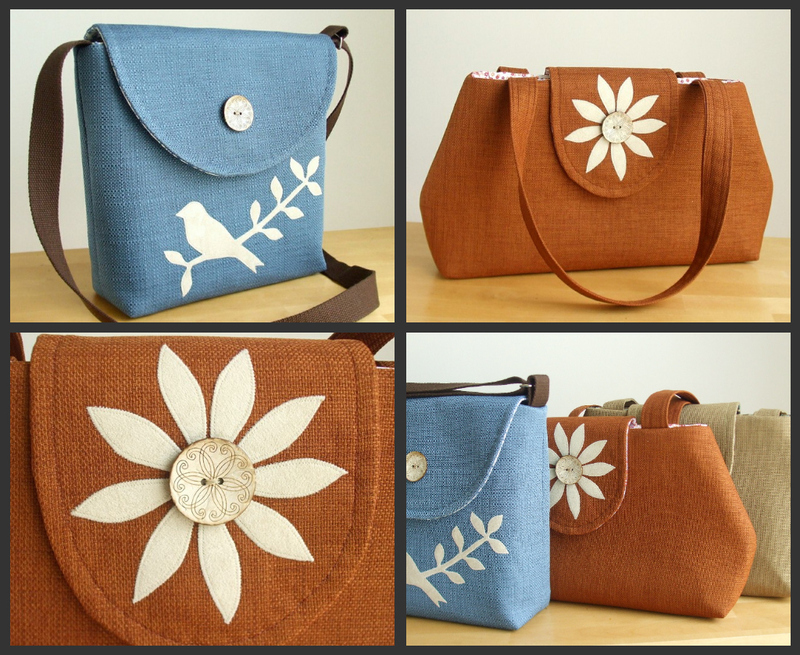 These bags are perfect for summer, they look warm and as always beautiful! What lovely colors-give Annie a big hug from us.